The bold style and rugged individualism of Old West can transport itself right into your living room. 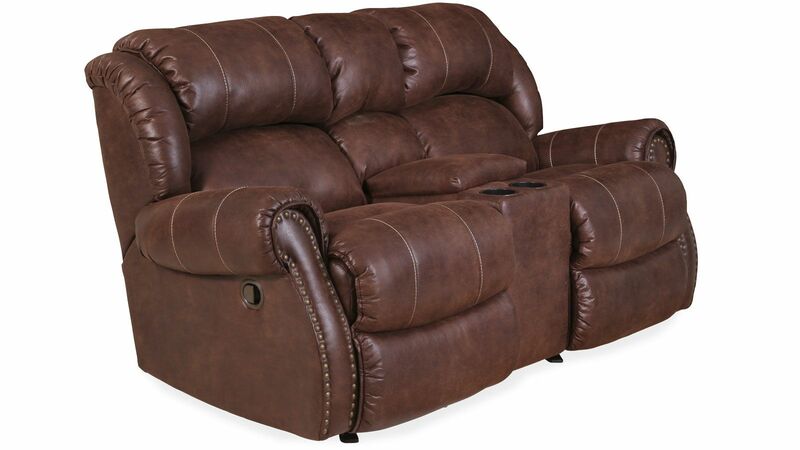 This loveseat combines warmth and comfort with rustic style, for that cowboy touch. Whether you're stretched out after a day on the ranch or reclining after a day at the office, this loveseat makes your living room look the part. Featuring microfiber upholstery, rolled arms, and pillow-back cushions, this loveseat creates the perfect spot for a nap. Recline in each seat and enjoy brass nailhead trim, upholstered detailing, and a design that will always be in style. Individually applied brass nailheads add detail to the armrests. The easy-to-use handle lets each seat comfortably recline. 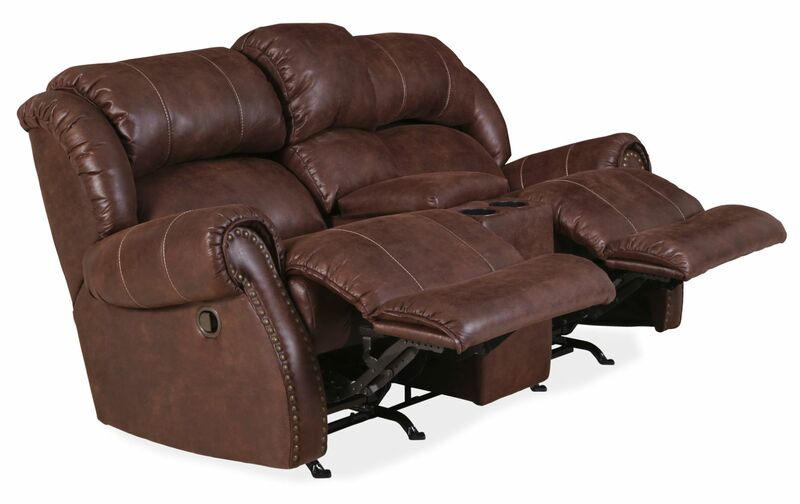 Fully upholstered footrests ensure your comfort never ends. The dark brown espresso microfiber is soft and easy to care for. You’ll add to the character and charm of your home when you incorporate this loveseat into your furniture collection. 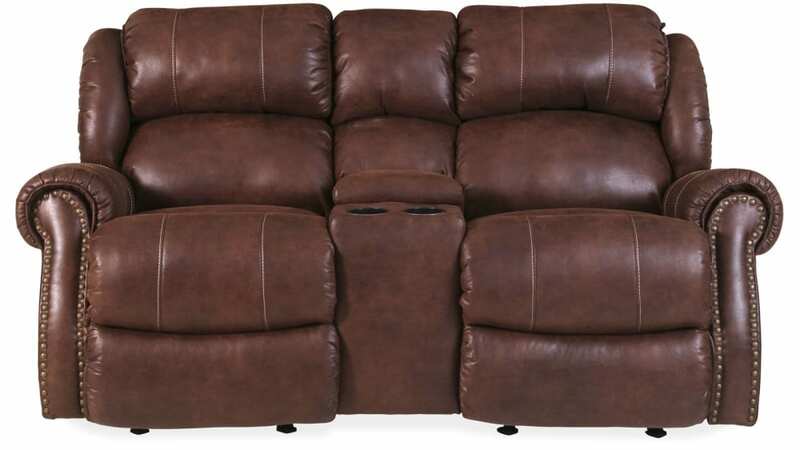 You can’t go wrong with rich espresso coloring and comfortable microfiber upholstery. 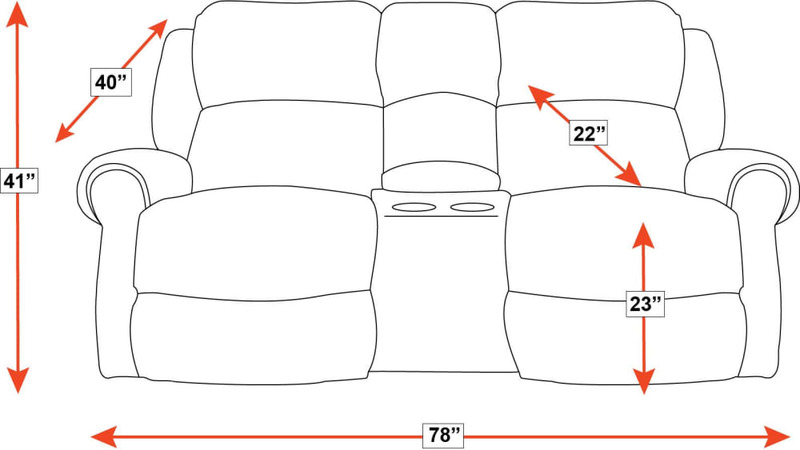 With Gallery Furniture’s same-day delivery, this loveseat could be on your doorstep TODAY. Your guests will love the western allure of this beautiful furniture.